Cloudflare 1.1.1.1 has been designed to increase internet speed and improve your privacy, hiding your activities. It is available for Android phones and the app could not be simpler. Computers are number crunchers and working with numbers comes naturally to them. Long and complex numbers do not come naturally to people and they are hard to remember. Instead of typing numbers into a web browser’s address box, we use domain names like twitter.com and bing.com, which are far easier to remember. A web browser must convert the domain names we type into the IP addresses they understand. It does this using the Domain Name System or DNS. Basically, the browser sends the domain name to a DNS server, which converts it to an IP address and sends it back. The browser can then connect to the website. Anyone that provides an internet service runs DNS servers and your ISP will have them. Your computer, phone and will use them when you browse the internet from home, at work, and at public Wi-Fi hotspots. Whoever runs the DNS server can see which websites you visit, by looking at the URLS it is converting into IP addresses for you. Your internet activities could be logged and could even be sold to advertisers. You cannot avoid using DNS because it is an essential part of the way the internet works. However, you can use a DNS server that you know does not track you, keep logs or sell your browsing data. Cloudflare has a domain name server with the IP address 1.1.1.1 and it does not sell your browsing data to advertisers, which makes it more private. Cloudflare also claims that its DNS is faster than many ISP’s DNS, so browsing the internet is faster. The time taken to convert a domain name to an IP address is just a fraction of a second, so the speed benefits are tiny, but every little helps as they say. Changing the DNS settings on a computer is fairly straightforward and I looked at how to change the DNS settings in Windows here. How do you change the DNS settings on a phone though? 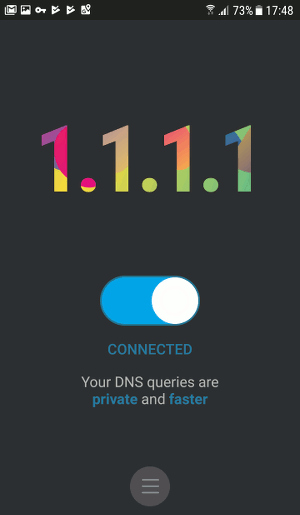 The easy way is by using the Cloudflare 1.1.1.1 app, which works in a similar way to a VPN. There is nothing to it and there is just a simple switch in the middle of the screen. You are either connected or not. The button at the bottom of the screen accesses the settings, although there are few things that can be changed. There is a dark and light theme, not that you will be spending any time in the app, a status screen showing that Cloudflare 1.1.1.1 is working, and some geeky information like debugging logs. Pull down from the top of the screen and there is a Cloudflare 1.1.1.1 notification showing when it is enabled. Tap it and it shows the duration and amount of data sent or received. 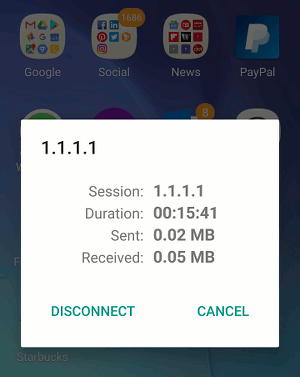 Cloudflare 1.1.1.1 is a simple way to increase privacy when using a phone on the internet through a browser or apps, but a VPN is a much more powerful way to add security and privacy to your phone. 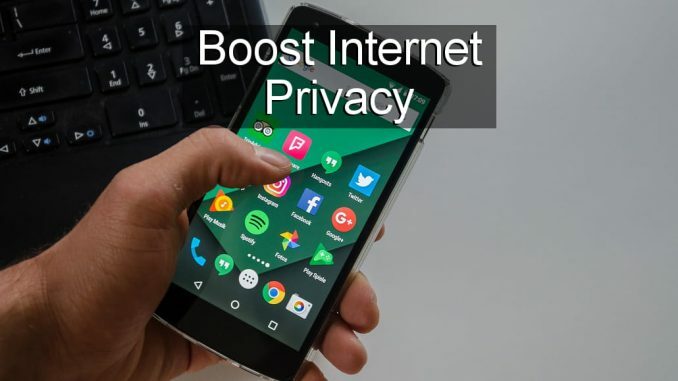 It creates an encrypted connection between you and the internet that stops eavesdropping on your activities.